MTN Free Browsing Cheat for South Africa. This will work with the help of some VPN Apps. With this trick, you can browse, download and stream unlimited as long as it lasts. Introducing Yoga VPN. 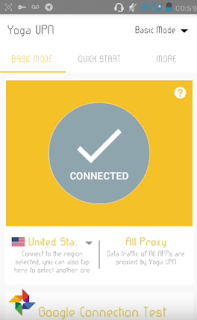 This VPN App has been available for some time now, but this is the right time to utilise the VPN App. So without wasting much time, we will jump into the requirements for this MTN Free Browsing Cheat for South Africa to work. So follow all procedures and you will be enjoying free internet at an unlimited rate. The issue we experienced while trying out this trick with some users in South Africawas with issue of speed. But today, Yoga VPN will help you can enjoy this without hitches, constant disconnection or slow downloads. 1. Yoga VPN works only on selected sims but offers a very fast internet. 3. Tap on the connect and wait for few minutes and it will be connected now just minimize and start browsing the net for free.